Tenet Healthcare is actively seeking a dedicated Endocrinologist to join the employed multi-specialty physician group in Nacogdoches, TX. Nacogdoches Medical Partners is an experienced network of providers serving the greater Nacogdoches area. The team is fully committed to excellence in patient care and includes family physicians, pediatricians, and specialists in cancer care, rheumatology, orthopedics, and pulmonary medicine. This is a great opportunity to join one of the largest healthcare systems in the country. The new physician will build the Endocrinology component of the practice and aid in addressing the large and mostly underserved diabetes patient population in East Texas. The position is outpatient based, as there is a robust Hospitalist program in place to handle inpatient admissions. Ramp-up is expected to be quick because there is virtually no competition - the nearest practicing Endocrinologist is 40 miles away. Clinic hours are Monday-Friday, 8-5, with shared IM call of 1:6. If interested, please submit current CV for immediate consideration. All inquiries are kept strictly confidential and no personal information is shared outside the Tenet network. 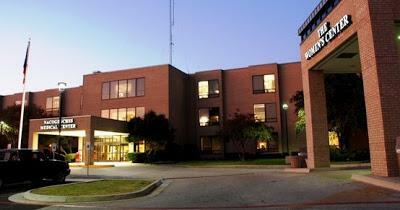 Nacogdoches Medical Center-Our 35 years of services have brought many medical advances to our patients and community. Like the new Surgery Center of Nacogdoches...our major expansion project now almost completed...and our record of success in vital areas of medicine and surgery. The goal of each physician and employee is to provide high quality healthcare addressing illness and accident. Healthcare should never be treated as routine or impersonal. Look to Nacogdoches Medical Center for the care and attention you expect. From oncologists and neurosurgeons to primary care physicians and vascular surgeons...virtually every medical specialist known to modern medicine is available to you at Nacogdoches Medical Center for the care and attention you expect....one of a kind. Nacogdoches – the oldest town in Texas is rich with history, architecture, and culture. It is easy to see why many people choose Nacogdoches as their home and place to raise a family. Whether you are walking through Texas’ largest azalea garden, shopping for antiques downtown, or boating on Lack Nacogdoches, this town has so much to offer! Residents enjoy a mild climate and take advantage of the endless days outside by boating, fishing, hiking and playing golf. Affordable housing in Nacogdoches and no state income tax help keep the cost of living below the national average and allow residents to maintain a comfortable and enjoyable lifestyle. Consider Nacogdoches!